1. DAILY HEARTWORK to interact with God in His Word every single day. It’ll leave you full of wonder and discovery! 2. Highly motivating and INSPIRING PROJECTS that will literally work the truths you’re learning into your heart and life! Reflect the beauty of Christ! You’ll have a heart . .
to personally guide you every step of the way! Just click the link & tell me where to send them! It’s Extreme because that’s what God deserves from each of us. If we belong to Him, we’ll give Him extreme effort, extreme obedience, extreme love! It’s Spiritual because the only life worth living flows from the Holy Spirit’s supernatural power working in our hearts to reflect the beauty of Christ! It’s a Makeover because we need a total transformation that begins in our heart, not a slight alteration, but a complete change from the inside out! This study is a must to be a better woman of God and a more godly wife and mother! My husband says he doesn’t recognize me anymore! He loves the change in me! Kris is a dynamic Bible teacher. This workbook has drawn me closer to God! I’ve always wanted to be discipled, this study has richly blessed & discipled me! Order Yours From Amazon Here! You’ll experience highly accelerated spiritual growth. You’ll receive huge doses of encouragement and inspiration. You’ll conquer nagging areas of sin and weakness. You’ll have a safe place to evaluate your spiritual life and get biblical tools to improve it. You’ll experience what it feels like to have spiritual friend cheer you on as you draw near the Lord. You’ll enjoy the consistency in your walk with God you’ve always wanted. You’ll get clarity on your high calling as a daughter of God. You’ll be uniquely equipped to nurture other women. These are the blessings you can expect and MORE as we draw near to the Lord together! I can hardly wait to hear about all the transformations He’ll be making in your life! If you want to draw near the Lord, quiet the battles in your own heart, be a better wife, mom and friend… THIS is the study for you! The first time I met Kris, I couldn’t help but notice her contagious love for Christ and her authentic walk with the Lord. I watched her closely and soon I was attracted to her Savior. She made Him irresistible. You see, He had disappointed me so many times. I had become hostile towards Him. I was angry, bitter and toxic. I had developed a very unbiblical view of God. But God pursued me and opened my eyes and softened my heart. I wanted the “radical transformation”, Kris taught. God truly used her to help expose my wicked, unregenerate heart and she walked with me until I gave my heart to Jesus. So at 56 years old, the wife of an evangelist and having been a women’s ministry director, I realized I was not a true believer. But now I see His love, grace, kindness and mercy like never before. My life’s been radically transformed! I’m so in love with Him I can’t stand it! Kris’s biblical teaching and guidance has been essential in my walk with the Lord. Her teaching not only brought me to salvation, but led to my husband’s salvation as well. She helped me to heal broken relationships and understand who I am in Christ. Now I see Christ working in me and through me. The effects of her ministry on my life is immeasurable. 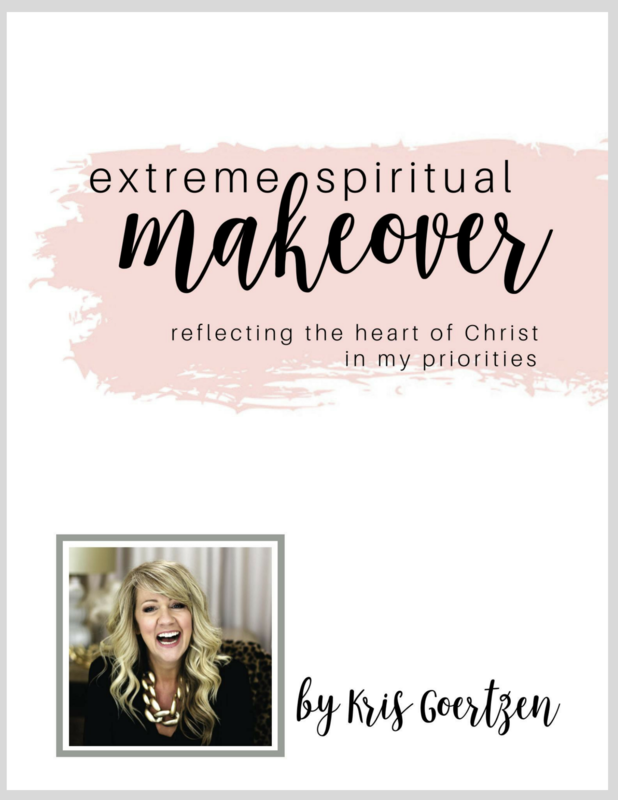 God has truly gifted Kris to speak wise, biblical truth into the lives of women. As she teaches, she pours herself out to love and lead women in their pursuit to be godly! She has greatly encouraged and mentored me in my role as a pastor’s wife! She makes me feel heard, understood, and offers biblical truth for each situation I face. What a gift and blessing Kris is to us all! Do you have a praise or a prayer request? Want to inquire about an affordable women’s conference or retreat?